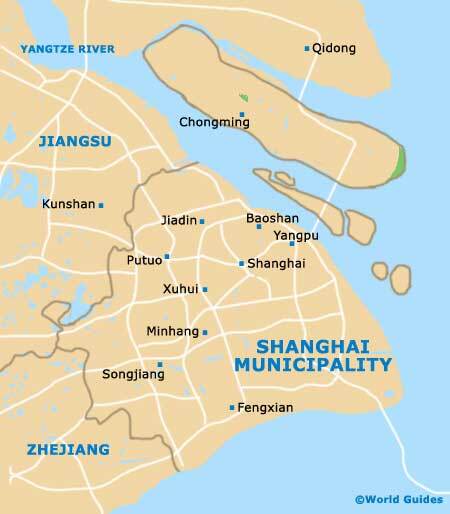 Not only is Shanghai and the surrounding municipal area the largest city in China, it is also the largest in the world. As if that wasn't fame enough, this location has been described as the showpiece of a new, more modern China. Shanghai's prominence, both as a trading city and tourist destination for travel-hungry Europeans, isn't a recent phenomenon. It is been recognised as such since the 19th century. Shanghai roughly translates as 'upon the sea'. In fact, the sea and the ships that ply their trade to and from this municipality have always played a huge role in the city. In the 1940s, communism arrived and Shanghai experienced something of a lull in its popularity. Some 50 years on, the city began to transform itself once more. Today, urban development is carried on at a pace that is enough to make even the busiest entrepreneur a little dizzy. Shanghai is certainly making up for lost time. The Pudong district, with its skyline of some 30 buildings that come it at over 25 storeys high, is dedicated to all things financial and is enough to turn most tourists' heads. A particularly distinctive landmark is the Oriental Pearl Radio and TV Tower. Shanghai doesn't display its heritage quite so obviously as in other Chinese cities, such as Beijing. However, behind the scenes, attempts are being made to protect the city's past in the face of an ever-expanding urban jungle. Building regulations have now been put in place in some of the older parts of the city. Vestiges of old Shanghai come in the form of modest temples and monasteries. The City God Temple of Shanghai, tucked away within the old walled city neighbourhood, is a good example. Surrounded by century old shops, it is evocative of an earlier era. Shanghai is nothing short of an epic city and is the largest of all China's cities. This modern and bustling metropolis offers plenty of things to see and do, and comprises two main areas, Pudong and Puxi, divided by the Huangpu River.